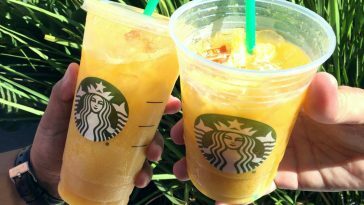 If you’ve ever been to Starbucks, you’d know that the menu is pretty intense. Besides the fact that you can’t order a “small,” “medium” or “large,” there are a lot of “add-ons” you can put in your coffee. Me? I’m a black iced kind of girl, so no problems from baristas here. But, I’ve seen quite a few customers order some wild concoctions that require some time and effort. Who wants to sit there pumping all those syrups and making all those extra shots? No one. 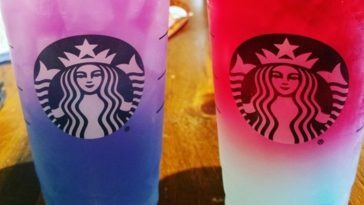 Jessica, a barista at a Starbucks, shared a photo of a pretty intense order (that required not one but two stickers to complete it). Clearly, this customer likes sugar, not coffee. 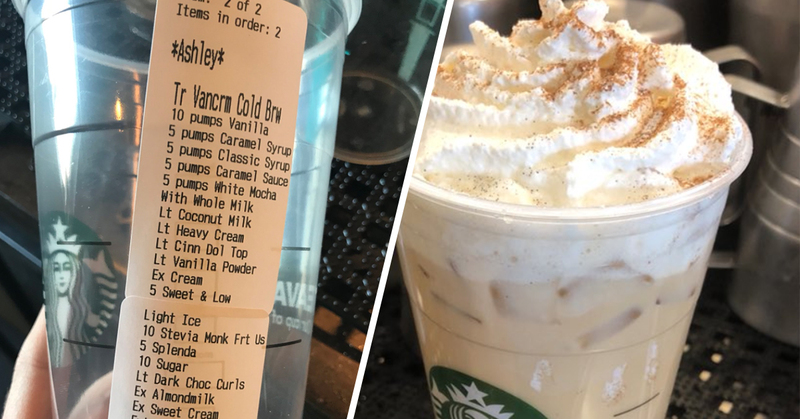 Plenty of Twitter users were disgusted by this order and wondered if “Ashley” was okay. 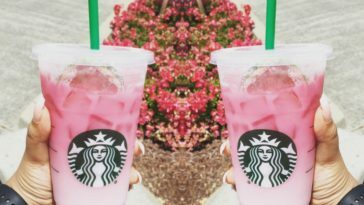 Other baristas decided to chime in on the thread with some of their most complicated orders and, they’ll make you rethink ever ordering a complicated drink again. I worked at biggby for 6 months and someone use to order a red bull creme freeze with: blue berries, strawberries, blueberry, strawberry, and pomegranate syrup, 7 pumps of tonic, whip cream, strawberry, and mellow garnish, with sprinkles on top. I tried it once, and it was gross. there was a girl at my store who would get a venti iced coffee with 7 pumps of vanilla, 7 caramel, 7 toffee nut, 5 classic, and 7 hazelnut with ex heavy cream. like I thought that was bad. 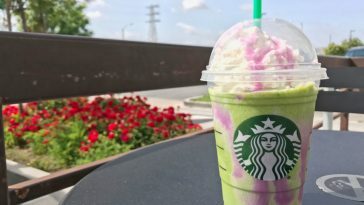 Two Twitter users decided to actually make the drink and–well, its straight up cream.